When Jake Bugg released his first self-titled album in 2012, the promise the young musician showed was prominent. Old school rockabilly guitars with britpop sensibilities made songs like “Lighting Bolt” and “Two Fingers” feel fresh and relevant. His follow-up album Shangri-La showed significant growth, especially on rollicking songs like “Slumville Sunrise”. 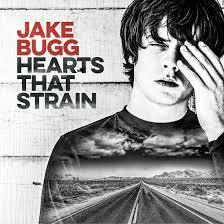 On his fourth album, it feels like Bugg has taken a step backwards, taking more inspiration from Jason Mraz than Oasis. The guitars are turned down, and tastes of bossa nova, folk pop and soft rock coat the album, leaving it more queasy mush than sharp nourishment. As harsh as that sounds, it doesn’t mean it’s a bad album – just an unexciting one. There are still lovely moments. First single “How Soon the Dawn” has the heaviest Mraz influence with its smooth groove. “Waiting” is a bright duet with Noah Cyrus (Miley’s younger sister), and “Burn Alone” is the one track to bring back some of that guitar fire that Bugg utilized in his earlier albums. By the time you reach the delicate and somber closing ballad “Every Colour in the World”, you will feel like you’ve gotten out of a warm bath. Relaxed and soothed, but from an artist with the ability to crack and spark like Bugg, that’s disappointing.